The Texas Supreme Court will hold a formal court session to hear oral arguments in two cases on Thursday, Feb. 16, 2017 from 9:00 to 11:30 AM in the Belcher Center at LeTourneau University's main campus 2100 S. Mobberly Avenue in Longview. 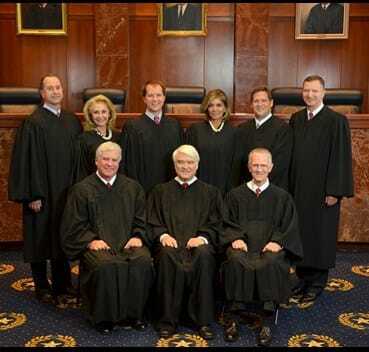 The Texas Supreme Court visit to East Texas is expected to be an exciting opportunity to educate students and the public about Texas government and give them the opportunity to witness live oral arguments before the Court. Students, attorneys and judges from all over Texas have been invited to participate in this historic event. A luncheon honoring the Texas Supreme Court will be held on campus at 11:45 AM and will feature remarks by Chief Justice Nathan Hecht whose topic will be "The Texas Supreme Court- Past and Present." From 1:30 to 3:00 PM numerous breakout sessions will be held by the Justices. All the sessions are free of charge to those attending. The public is invited to attend the session titled “God, the Courts and the Law” presented by Justice Jeffrey S. Boyd, who is also an ordained minister. This session will be held in the Belcher Center. Concurrently LeTourneau University is holding "Law as a Career Day" on campus. This legal career fair is designed to attract college and high school students seeking to learn more about legal careers. Numerous law schools, paralegal schools and court reporter schools will have recruiting booths set up to provide information and answer questions about their programs. There will be two afternoon breakout sessions for students discussing the law as a career. Students who attend will also be offered tours of the university and visits with faculty as they participate in “Law as a Career Day.” Students will be provided a free lunch. The event is expected to attract members of the legal community from around the state of Texas. Lawyers will be eligible 2.5 hours of CLE for attending the oral arguments and question and answer session with the court, 0.5 hours of CLE for attending the luncheon and 1.5 hours of CLE for attending one of the afternoon breakout sessions at the Gregg County Courthouse.